Alan Pardew appointed as Newcastle manager | NUFC Blog. Archive for tag: Alan Pardew appointed as Newcastle manager. 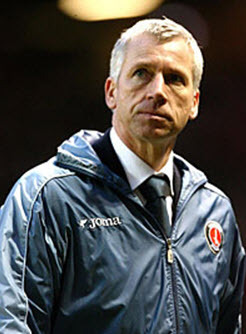 Pardew – mad as a hatter? Doh, why did I take this job? Alan Pardew has had a few things to say about how he intends to approach matters at Newcastle United. Given that the club is run by clowns and the rate at which we get through managers it’s hard to argue with suggestions that he should be carted off to somewhere where they hand out regular cups of tea and strong medication. “The problem I’m going to have initially is the players. “I need to get my message across quickly and with clarity so as not to get any resentment at a time when they are doing reasonably well. What we all expected has happened and Alan Pardew has been appointed as manager of Newcastle United on a five and half year deal. It seems the circus is back at St James’ Park and the fans are being served up another custard pie in the face from the clown at the top. It’s easy to see why we’re the laughing stock of the Premier League. The recipe is simple. For dinner, take one perfectly good manager who gets us promoted from the Championship at the first attempt, settles us into a mid-table Premier League position and wins over the fans. Then sack him. Then for pudding, take one unemployed manager with a mediocre record and hardly much more Premier League experience than the one you just sacked. Then employ him. It works every time as a recipe for making a club a laughing stock. I think I’ll pass on the cheese and biscuits. 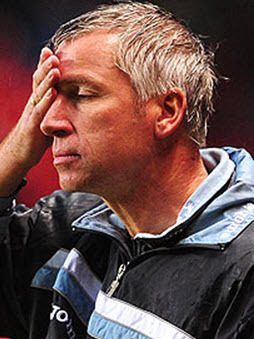 Either way we look at it though, Chris Hughton’s era is over and Alan Pardew’s is about to begin.